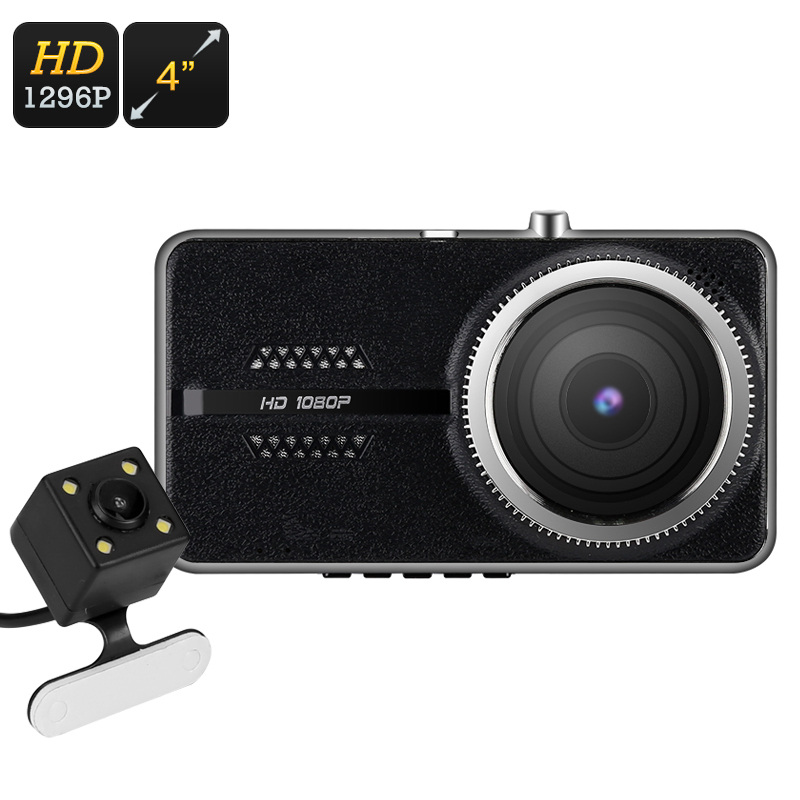 Successfully Added Dual Camera Car DVR Kit - 4 Inch LCD Display, 1296p, 170 Degree Lens, G-Sensor, Motion Detection, Parking Assistance, 30FPS to your Shopping Cart. The road can be a dangerous place and minor accidents that can leave some decent damage to your car do happen on regular basis. This may often lead to difficult situations with insurance companies and legal institutions alike. Fortunately, there are nowadays high-quality car DVR systems that offer protection against false accusations and high insurance claims following an unfortunate accident or vandalism. Featuring a 170-degree wide angle lens this 1296p FHD car dash cam covers the full road ahead of you and additionally captures anything that is approaching your vehicle from the side. A secondary 720p rear camera records everything that happens behind your car and simultaneously offers great parking assistance. Being able to record at 30 FPS the main camera will provide you with a clear and high-quality image – allowing you to recognize number plates and street signs even when driven high speed. Thanks to its timestamp and watermark feature you will now be fully able to provide evidence in any insurance claims and police investigations alike. With up to 32GB or external data storage and loop recording, there is no fear of running out of memory any time soon. With its motion detection feature, this car black box can be programmed as to start recording while motion is detected. This offers a great protection tool against vandalism as you can be assured that the smallest bit of movement around your beloved vehicle will now be captured on video, even when your car is parked and left unattended for a certain period of time. Holding a 4 inch LCD screen this car DVR set makes it easy to review all the actions that happened surrounding your car and additionally offers a large and clear display that may assist you while parking your car backwardly. Gravity sensing functions furthermore allow your car DVR kit to recognize the moment of impact when an accident is occurring – ensuring that your car black box will automatically save the recordings instantly as to guarantee that no video evidence gets lost or overwritten during a potential accident. Along with its two cameras, state of the art security features, and park assist technology this car DVR set is the perfect addition suitable for any vehicle out there. This dual camera car DVR system comes with a 12 months warranty, brought to you by the leader in electronic devices as well as wholesale electronic gadgets..